We are all different, we all have different energy levels at different times of the day. If you want to increase your productivity start plan your work by matching your highest energy times with your most important tasks. Following a few simple steps, you can develop your own magic formula to increase your productivity and grow your business. 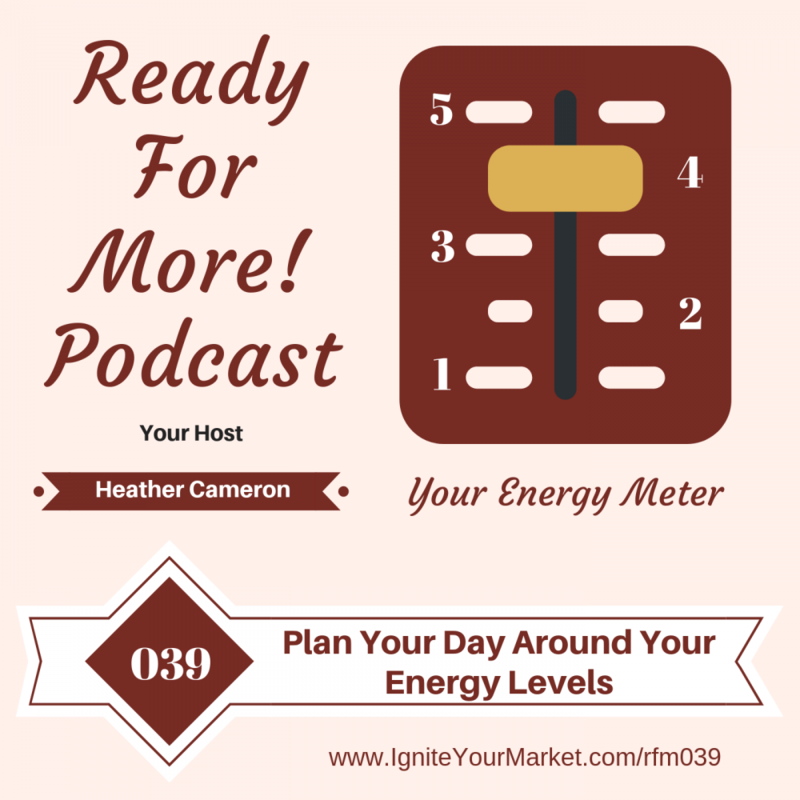 Listen to this week’s Ready for More! Podcast weekly tip where I share 7 steps to help you develop your own magic energy level formula. Schedule our Power Hours during your highest energy level times. Schedule other tasks (email, social media, making phone calls, meeting prospects, website work, etc) during your level 3 and 4 energy times. Monitor and adjust. You might be surprised that your energy levels are actually different than you expect.